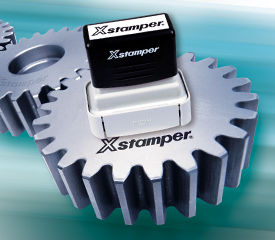 Make your mark almost anywhere with the pre-inked industrial stamps from Xstamper. Our proprietary ink formulation is fast drying, permanent and water-resistant when fully cured. Uniquely designed caps are engineered to minimize ink from drying out, extending the functional life of the stamp. A convenient and adaptable marking solution. Connect pieces vertically or horizontally to create a customized alphabetical and/or numeric message. Perfect for use in hard to reach locations.